Reading comprehension. The biggest mistake of my life was a reading comprehension error regarding something most of us don’t think twice about. Our oldest is a bright 15 year old with a dust mite allergy that leads to an occasional sinus infection. Cue the sinus infection just before Thanksgiving. Cue a 10 day course of antibiotics. “Take 2 in the morning and 2 at night and you will feel better in no time,” I instructed as I handed over the prescription and rushed the kids out the door for several holiday overnighters with family. A 10 day antibiotic course was accidently taken in 5 days due in part to the hustle and bustle of everything. I read the instructions too fast and gave her the wrong instructions. She listened all too well. 2 ER visits, 3 InstaCare visits, 2 regular doc visits, 2 GI specialist visits, 10%+ of her body weight lost and her bathroom on quarantine and disinfected only with a 10:1 bleach solution to kill the spores and prevent this highly contagious disease from spreading. Imagine a nuclear bomb going off in your intestines. That is exactly what happened to her gut with an overdose of antibiotics. Our first InstaCare visit led to my new favorite doctor gently telling me our daughter was very sick and needed to go to the ER. Which ER would we like so they could call ahead and let them know we were coming and would we like an ambulance? WHOA. WHAT JUST HAPPENED? We went from stomach ache, cramps and scoots to would we like an ambulance in the course of the 45 minute visit. Deep breath. Put on brave face. Head to the ER. She was REALLY sick. Long story short, the overdose led to a party in her gut by a bacteria known as c. diff (clostridium difficile). C diff is commonly in our gut but it is kept in check by the good critters working in the depths below. The first two rounds of drugs used to treat the c diff failed, meaning severe scoots and cramps returned. She is currently pounding down a 6 week tapered course of an antibiotic that kills the c diff. Once the taper ends we will pulse it another 3 weeks. Praying like it’s all in God’s hands yet doing everything in our power to heal her along the way. Needless to say, hours have been spent digging into learning more about c diff, our gut microbiome and how amazing our guts truly are. As you can imagine, a few things have changed at our house when it comes to feeding, fueling and repairing our daughter. needs to rebuild immunity for whatever reason. Caution: Exceptional long term heath may occur! Whole milk – she needs the calories, higher protein content and lower sugar level – if her stomach hurt after consuming dairy I would eliminate it all together but she is tolerating it well and only has one glass a day. Kefir – homemade and purchased from the store (we LOVE the Lifeway brand raspberry and peach). As a fermented food it’s 99% lactose free = no problems digesting it plus it’s packed with probiotics! 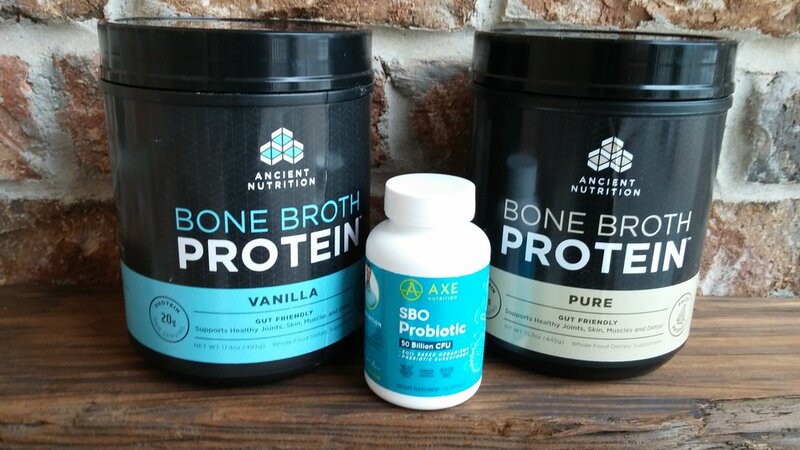 Probiotics – yes, even though she is on an antibiotic (spaced at the mid-point of antibiotic dosingie- 8a and 8p dose = probiotics at 2p) Currently we are using Dr Axe SBO Probiotic – soil based with 50 Billion CFU’s - one capsule with lunch and the other when she comes home from school. Lentils – we call them tiny spaceships…protein and fiber packed amazingness eaten with lunch and dinner by simply adding to whatever the meal (tacos, soup and even pasta). Prebiotics LOVE the fiber in lentils. Happy prebiotics = happy probiotics! Water – plenty of crystal clear amazing water!!! Meditation – we use an app called Calm – outstanding! Used to managed pain, cramps and fear. Antibiotics are scary dangerous drugs that are overused and underfeared. Learn from my mistake and be cautious as you read the directions. Most conditions will resolve without the use of these drugs. Consider that as a primary approach to better health. Your gut microbiome will thank you! We are approaching 3 months of dealing with this beast and are not out of the woods yet. The light at the end of the tunnel is in sight but this rollercoaster will still have dips and curves. We are thankful the dips and curves are getting easier to handle. Keep your gut healthy, you have life to live! Subscribe today if you would like more information like this! Sign up with your email address to receive news and updates. I only post a few times a month, you will not be harrassed by me I swear! We respect your privacy. Your information will not be sold, bartered or used in any way that would be irresponsible.